Lencioni’s passion for organizations and teams is reflected in his writing, speaking and executive consulting. He is the author of eleven best-selling books with over five million copies sold. His capstone book, The Advantage, is the pre-eminent source on organizational health. After sixteen years in print, his classic book, The Five Dysfunctions of a Team, remains a weekly fixture on national best-seller lists. Released in 2016, The Ideal Team Player is a much-anticipated follow-up to his team book and also a Wall Street Journal best-seller. The wide-spread appeal of Lencioni’s leadership models have yielded a diverse base of speaking and consulting clients, including a mix of Fortune 500 companies, professional sports organizations, the military, non-profits, schools and churches. Addressing the model in his latest book, The Advantage: Why Organizational Health Trumps Everything Else in Business, Pat makes the overwhelming case that organizational health "will surpass all other disciplines in business as the greatest opportunity for improvement and competitive advantage." While too many leaders are still limiting their search for advantage to conventional and largely exhausted areas like marketing, strategy and technology, Pat demonstrates that there is an untapped gold mine sitting right beneath them. Instead of trying to become smarter, he asserts that leaders and organizations need to shift their focus to becoming healthier, allowing them to tap into the more-than-sufficient intelligence and expertise they already have. He defines a healthy organization as one that has minimal politics and confusion, high degrees of morale and productivity, and very low turnover among good employees. Drawing on his work consulting to some of the worlds leading teams and reaffirming many of the themes cultivated in his other best-sellers, Pat reveals the four steps to achieving the ultimate competitive advantage. According to Pat Lencioni, teamwork remains the ultimate competitive advantage, both because it is so powerful and so rare. He makes the point that if you could get all the people in an organization rowing in the same direction, you could dominate any industry, in any market, against any competition, at any time. Based on his runaway best-seller, The Five Dysfunctions of a Team, Pat uncovers the natural human tendencies that derail teams and lead to politics and confusion in so many organizations. Audience members will walk away with specific advice and practical tools for overcoming the dysfunctions and making their teams more functional and cohesive. Based on the principles in Getting Naked, Pat presents a revolutionary and counterintuitive approach to client service that yields uncommon levels of trust and loyalty. "Naked Service," as Lencioni calls it, provokes consultants and service providers to be completely transparent and vulnerable with clients and to avoid the three fears that ultimately sabotage client allegiance. Learn principles like enter the danger, tell the kind truth, and always consult instead of sell that can help you establish a fiercely loyal client base. Whether you are an internal or external consultant, financial advisor or anyone else serving long-term clientsyou will glean some powerful tools for overcoming the three fears, and gain a real and lasting competitive edge. In his talk, Pat tackles a prominent symptom of corporate frustration: silos, the invisible barriers that separate work teams, departments and divisions, causing people who are supposed to be on the same team to work against one another. According to Pat, silosand the turf wars they enabledevastate organizations by wasting resources, killing productivity and jeopardizing results. Drawing from his book, Silos, Politics, and Turf Wars, Pat provides leaders with powerful advice on how to eliminate the structural obstacles that derail organizations. Urging leaders to provide a compelling context for their employees to work together, Pats model gives leaders a simple tool for enabling clarity, unity and alignment in their organizations. Based on his popular book, Death by Meeting, Pat Lencioni reveals some surprising truths about why we hate meetings, why we shouldn’t, and how to make them productive—even enjoyable. He debunks the myth that meetings are inherently bad and makes the case that they are, in fact, one of the most critical activities at the heart of a competitive organization. Using pointed and humorous examples from his work, Pat paints the picture of prototypically bad meetings, and presents a new, radical approach to meetings, one that transforms them from drudgery to focused, relevant and compelling business activities. In this keynote speech, Lencioni tackles corporate silos, the invisible barriers that separate work teams, departments and divisions, causing people who are supposed to be on the same team to work against one another. According to Lencioni, silos - and the turf wars they enable - devastate organizations by wasting resources, killing productivity and jeopardizing results. 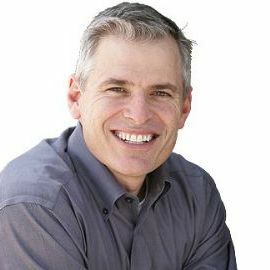 Drawing from his book, Silos, Politics, and Turf Wars, Lencioni provides leaders with powerful advice on how to eliminate the structural obstacles that derail organizations. Urging leaders to provide a compelling context for their employees to work together, Pat’s model gives leaders a simple tool for enabling clarity, unity and alignment in their organizations. A leader's success hinges on a few simple behaviors - behaviors that require remarkable levels of discipline. Based on the model in his best-selling book, The Five Temptations of a CEO, Lencioni captures the common pitfalls that all leaders face and suggests practical ways to overcome them. In this talk, Pat addresses perhaps the most timeless and elusive topic related to work: job misery. Based on his much-anticipated book, The Three Signs of a Miserable Job , Lencioni delivers a message that is as revolutionary as it is shockingly simple. Using a mix of humor and poignancy, he dismantles the root causes of frustration and anguish at work: anonymity, irrelevance and ‘immeasurement.’ In doing so, he provides managers at all levels, as well as employees, with actionable wisdom and advice about how they can bring fulfillment and meaning to any job in any industry. Whether you’re an executive looking to establish a sustainable competitive advantage around culture, a manager trying to engage and retain your people, or an employee who has almost given up on finding meaning and fulfillment in your work, this talk will prove immediately invaluable. Addressing the model in his cornerstone book, Pat makes the overwhelming case that organizational health “will surpass all other disciplines in business as the greatest opportunity for improvement and competitive advantage.” While too many leaders are still limiting their search for advantage to conventional and largely exhausted areas like marketing, strategy and technology, Pat believes there is an untapped gold mine sitting right beneath them. Instead of trying to become smarter, he asserts that leaders and organizations need to shift their focus to becoming healthier, allowing them to tap into the more-than-sufficient intelligence and expertise they already have. He defines a healthy organization as one with minimal politics and confusion, high degrees of morale and productivity, and low turnover among good people. Drawing on his experience consulting to some of the world’s leading teams and reaffirming many of the themes cultivated in his other best-sellers, Pat reveals the four steps to achieving long-term success. According to Pat, teamwork remains the ultimate competitive advantage, both because it is so powerful and so rare. He makes the point that if you could get all the people in an organization rowing in the same direction, you could dominate any industry, in any market, against any competition, at any time. Based on the model in his perennial best-seller, Pat uncovers the natural human tendencies that derail teams and lead to politics and confusion in so many organizations. Audience members will walk away with specific advice and practical tools for overcoming the dysfunctions and making their teams more functional and cohesive.